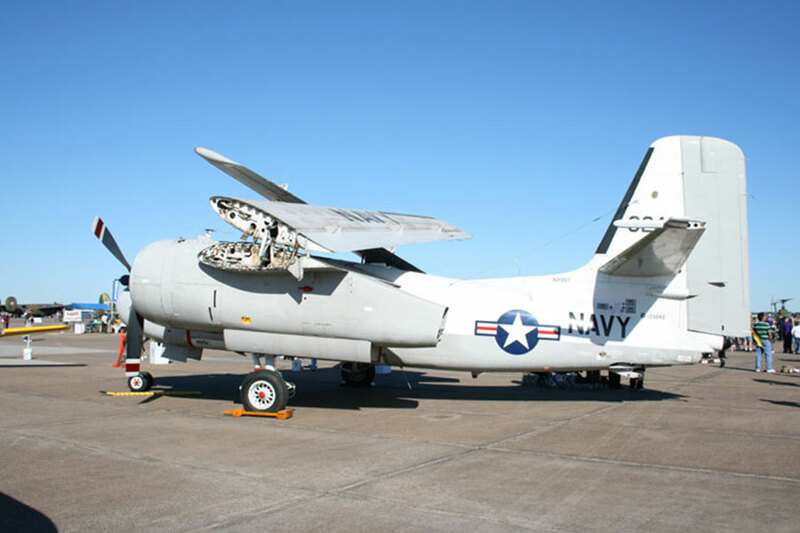 A jack-of-all-trades, variants of the Tracker were used as COD aircraft, patrol aircraft, anti-submarine bombers, radar platforms, and radio intelligence units while in service. Combining range with performance in a small aircraft, the Tracker was perfect for its ship-board duties as it featured folding wings for storage below decks. Today many Trackers are still being used around the world. In the US, many airframes are used as fire-bombers in an effort to control the yearly attack of forest fires on America’s parks and forests. 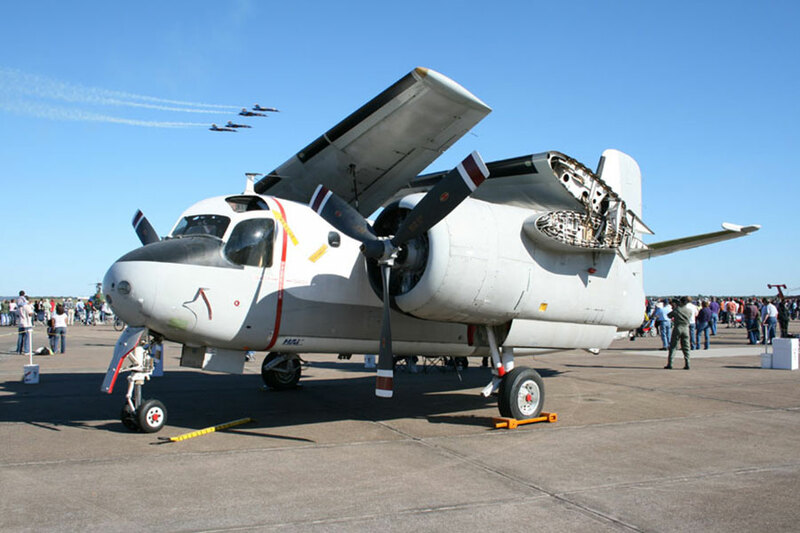 The S-2F Tracker operated by the Collings Foundation is under maintenance and restoration by the hardworking and dedicated volunteers of the Collings Foundation in Houston, TX. 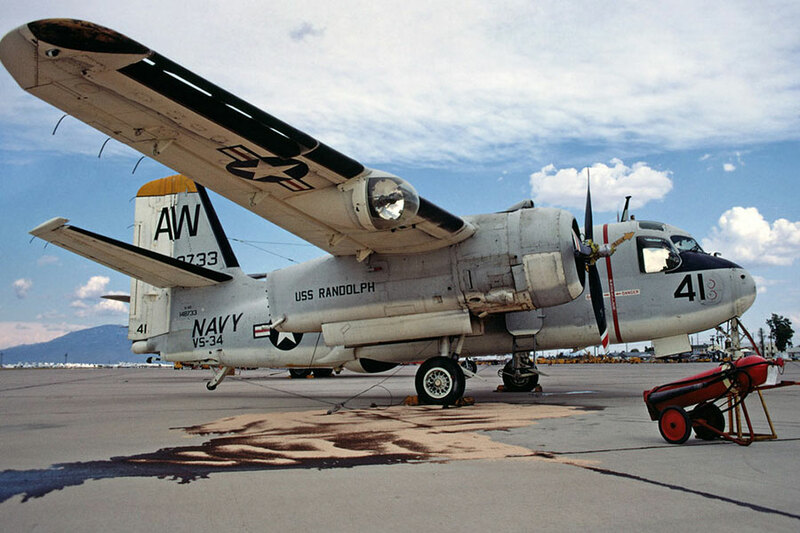 The Grumman S-2 (S2F) “Tracker” was developed and first flown in 1952 to replace hunter/killer aircraft for anti-submarine warfare operations. Design criteria required that the aircraft accommodate air-to-underwater guided missile torpedoes and associated electronic equipment, and be capable of long-range search missions at low altitudes while flying in all-weather conditions from an aircraft carrier. The “Tracker” could be equipped with up to 32 sono-buoys, an APS-38 search radar in a retractable radome, and magnetic anomaly detection (MAD) gear. Armament included a fuselage weapons-bay for one depth-bomb or two homing torpedoes and six underwing pylons capable of handling depth-bombs, torpedoes or rockets. The first of 755 production model S-2s entered service in 1954 and soon established themselves as the Navy’s front line carrier based ASW air-craft. Later versions carried “Jezebel” passive long-range acoustic search equipment and “Julie” explosive echo-sounding equipment. Powered by two 1,525 hp Wright engines and manned by a crew of four (two pilots, two radar operators), the S-2 grossed out at 26,867 lbs, had a maximum speed of 253 mph and a range of 1150 statute miles. The last front-line “Trackers” were retired from active duty in 1976. A training version, the TS-2A, remained in service until 1979.